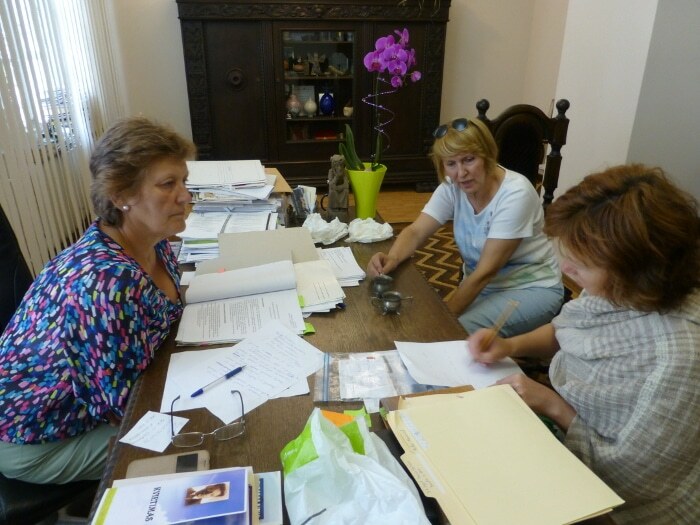 Preservation of Litvak Artifacts – Janina Kubilienė Project | Remembering Litvaks, Inc. Shortly after Lithuania became free of the Soviet Union, Janina Kubilienė, an inspired teacher of history in Ponedel / Pandėlys, began an initiative to learn about the Jewish communities that had existed in and near that town for hundreds of years. For one of her projects, she asked her students to gather written documents relating to the Jews of the area. The students collected articles, maps, stories, and miscellaneous other documents that were written in a variety of languages – Lithuanian, Polish, Yiddish, and even English. The history and documents were organized into a report entitled, Pandėlio, Kvetkų, Rokiškio, Kamajų Žydų Bendromenės Iki 1939 Metų Ir Jų Tautos Genocidas (The Jewish Communities of Pandelys, Kvetkai, Rokiskis, and Kamajai Up To The Year 1939 And The Genocide of Their People). Rokiškio, Kamajų Žydų Bendromenės Iki 1939 Metų Ir Jų Tautos Genocidas (The Jewish Communities of Pandelys, Kvetkai, Rokiskis, and Kamajai Up To The Year 1939 And The Genocide of Their People). Unlike Jews in Germany or Poland, who experienced growing Nazi persecution before the Nazis decided to implement a policy of extermination, Jews in “neutral” Lithuania had little warning of the genocide. The Nazis invaded on June 22, 1941, and most Jews were quickly segregated in temporary detention camps and then murdered by the end of the summer. Most of their property was plundered. U.S. Holocaust Memorial Museum, Image 25/25736 (Courtesy of Saulius Berzinis). 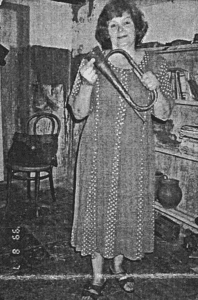 Caption: “A Lithuanian auxiliary policeman auctions off property owned by persons killed in SS-managed shooting operations. Lithuanian auxiliaries served as shooters and guards in these operations. 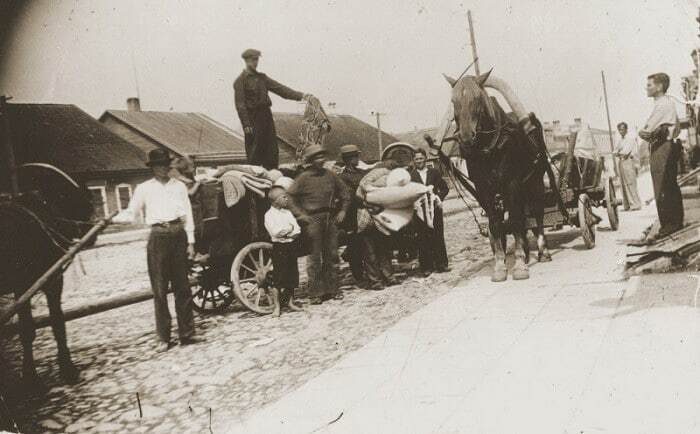 … Utena, Lithuania, July–August 1941.” As noted by Lithuanian Historian Dr. Arūnas Bubnys, a part of the property of the murdered Jewish citizens “was looted by the killers” and “[another] part (clothing, small house wares) were cheaply sold or given out to the local people.” “Holocaust in [the] Lithuanian Province[s] in 1941,” (translated into English from the Lithuanian original), http://www.docscopic.info/flashoflight/A.Bubnys_Province_ENG.pdf, at 75. Experience suggests that many items that were once owned by Jewish households still exist in Lithuania. However, people in possession of such items may be reluctant to bring them to Jewish organizations out of concern that uncomfortable questions would be asked regarding the items’ provenance. In such cases, if an item is not deemed to have any further use, the owner might simply choose to discard the item, which would be a loss for Lithuanian history and the memory of Litvak culture. For this reason, we have encouraged several regional museums to make it known that they will examine artifacts of the lost Jewish communities on a “no-questions-asked” basis. If an owner simply wants to know what an item is, we will help identify it. And, of course, if an owner wishes to transfer an item to a museum on a confidential basis, the museum will accept the item for its collection of Judaica or ethnographic artifacts. We call this the Janina Kubilienė Project, in honor of the inspired teacher from Ponedel / Pandėlys. Items that have been brought to museums under such confidential terms include: A volume of the Mishnah Berurah, the Chofetz Chayim’s compendium and analysis of the laws of daily Jewish life, which would have been in many religious Jewish homes; a section of a Torah scroll (at the time of the Holocaust, the vellum was considered to have utilitarian value); and letters found in the attic of a house once owned by a Jewish family that had been deported to Siberia in June 1941. 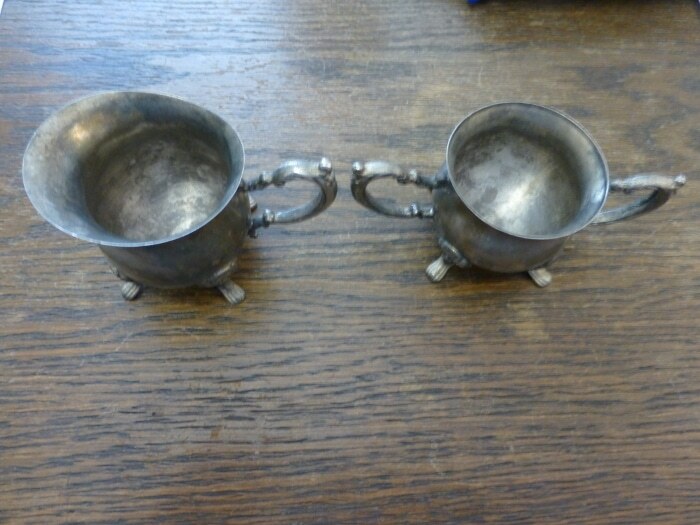 In 2016, an antiques dealer asked us to represent him in donating to the Rokiškis Regional Museum a silver cream and sugar service from a Jewish home in Ignalina. It has been suggested that one day Lithuania may have a museum dedicated to Jewish ethnographic culture. If so, it is possible that the artifacts donated to the regional museums might be collected in a single museum. In the interim, however, this modest project will preserve for future generations some artifacts that otherwise would be lost.